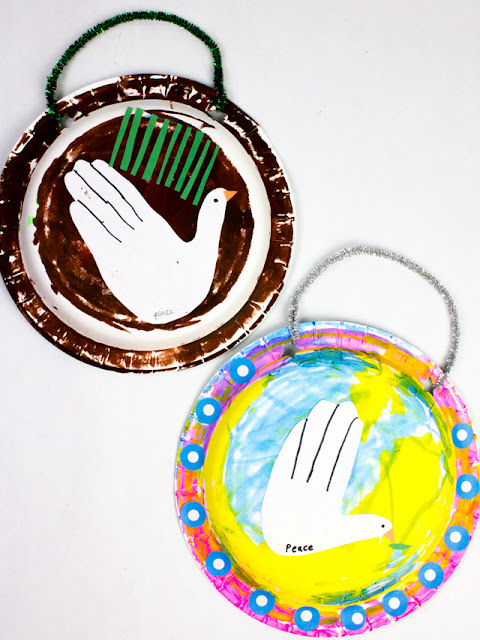 Let's Make Paper Plate Doves! 2. Trace your child's hand onto a sheet of white paper. Cut it out. 3. Use a glue stick to glue the handprint onto the plate. 4. Use a marker and add details. Cut out a small beak from orange construction paper and then glue it on. 5. Use stickers or construction paper to add in extra details. 6. 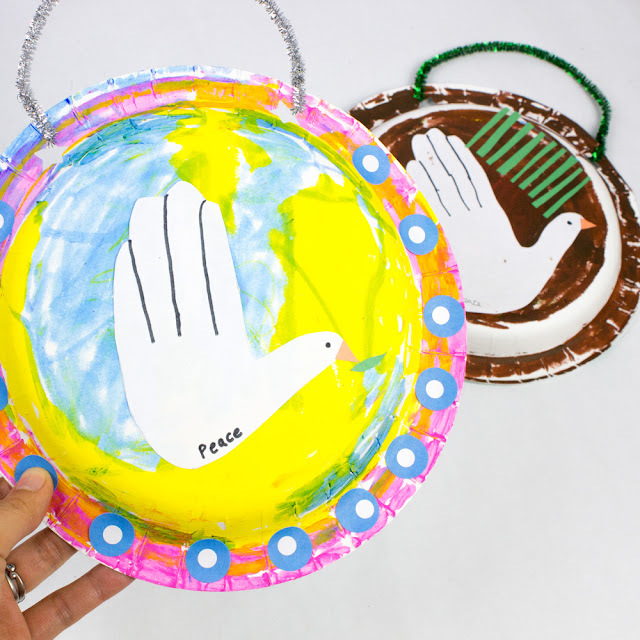 Punch your paper plate twice. 7. 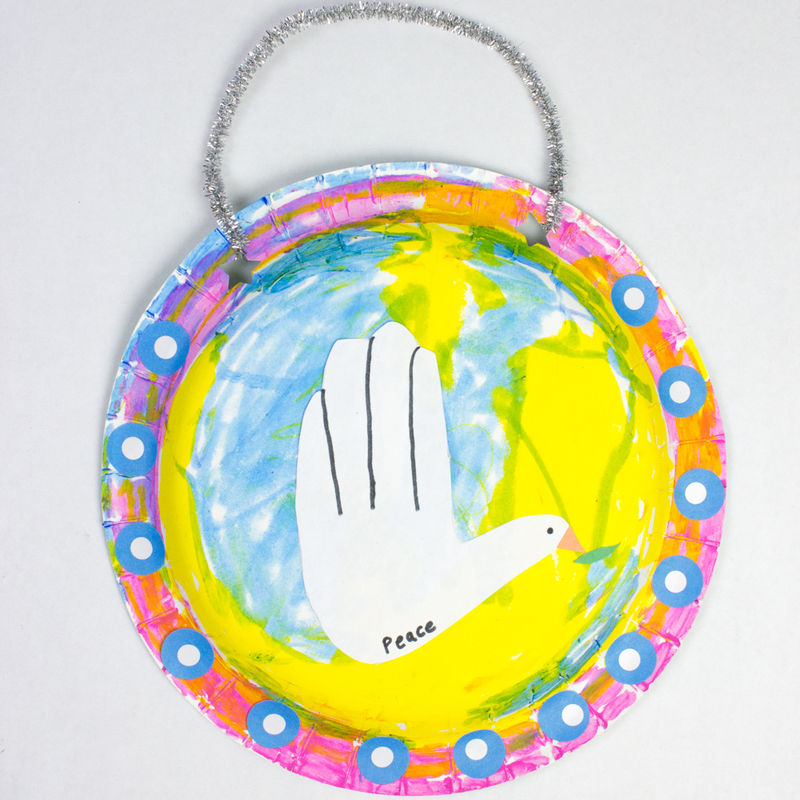 Use a pipe cleaner to create a small hanger for your paper plate dove art! I love the way these doves came out. 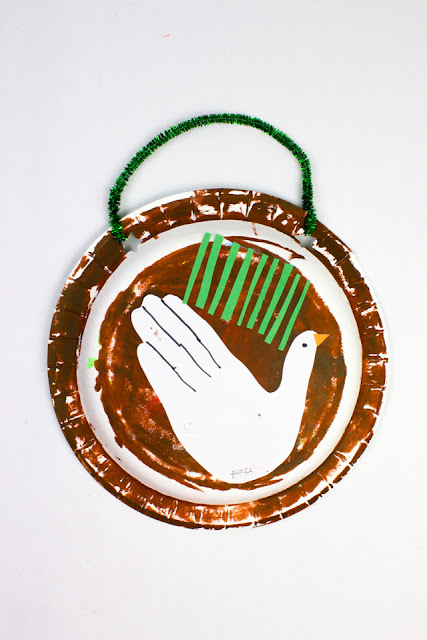 Hope you have fun trying this Christmas craft out too. More Easy Christmas Crafts and Activities for Christmas!